Paul Hirst is Professor of Social Theory, Birkbeck College, University of London. 2. Associative Principles and Democratic Reform. 3. Associational Ethics and Logics of Collective Action. 4. Associative Democracy and Economic Governance. 5. Current Realities and Economic Reform. 6. Thick Welfare, Thin Collectivism. 7. An Associational and Confederal Welfare State. * Associative Democracy outlines a new and exciting theory of democracy. * This volume is a major contribution to democratic thinking and political thought. 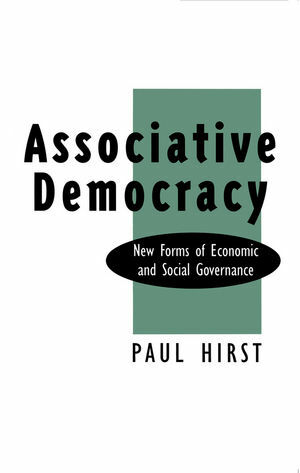 * Paul Hirst has contributed extensively to debates in political and social theory over more than two decades; this is his most important and original statement.